We’ve been getting some nice press coverage, especially from the Runner’s World Christmas Gift Guide, the Independent’s eco chic blogger, and Yoga Magazine. Take a look at the media section on our website to see the more. OK, we figured we’d send out an email to remind you all what fantastic Christmas presents you could send to your friends and family (or yourself). Of course, you don’t have to take our word for it: Runner’s World included our Everywear range in their Christmas Gift Guide, and Living Ethically included our Local Warming Jacket in their 2009 Gifts Special. Designed for the action man that loves adventure. This performance top wicks away sweat and is fast drying to keep you comfortable regardless of what the day throws at you. Run, ski, hike, climb or bike: this top will go everywhere with you. Oh, and its made of 100% recycled plastic. Our Local Warming Jacket has soft breathable fleece on the inside but is smooth on the outside. This makes for a comfortable and warm fleece that’s still verstatile. Wear it after exercise, as a mid layer for skiing or when popping out the shops. The women’s jacket has a flattering shaped fit. The special fleece material is made from 100% recycled plastic. You can read about the local warming jacket’s product story here or buy it from our website here. We are offering a special Christmas discount for subscribers to our newsletter: get 25% off everything you order online. 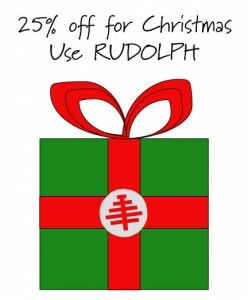 Just use the promotional code RUDOLPH at the check-out.